This is how the drivers percieve the pedestrians as they cross the 3D zebra crossing. 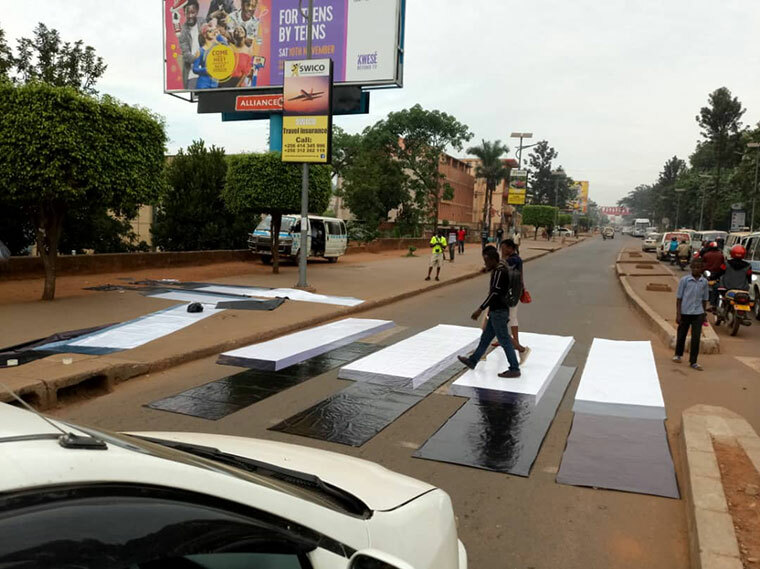 Researchers are exploring the use of 3D zebra crossing in Kampala as the latest safety measure to protect pedestrians on city roads. The researchers believe that the 3D crossings can aid motorists’ vision and help slow down cars when they reach pedestrian crossing points. On Sunday December 2, motorists and pedestrians that used Bombo road; above Bat Valley primary school were treated to a pop-up zebra crossing, a first in an African city. Its stripes looked more like blocks on the road. The researchers from Stockholm Environment Institute (SEI) and the University of York supported by British Academy, are exploring the use of creative or non-conventional methods to ensure inclusive transport infrastructure in Nairobi and Kampala. The methods to engage the dwellers of both cities include art, storytelling, urban dialogues, and photography to capture the city dwellers’ mobility challenges and how they can be addressed. The 3D zebra crossing is one of the pieces that are not used in Africa but have been tried in other countries like Iceland. Uganda is the first country in Africa to pilot the 3D zebra crossing, according to Howard Cambridge, a researcher at SEI. “This 3D zebra crossing draws the attention of motorists, motorcycle taxis, and PSVs to pedestrians crossing the busy road,” said Cambridge. She said, however, that motorists still need more sensitization and behaviour change to know that a zebra crossing is critical area where pedestrians and other vulnerable people are likely to cross at and it must therefore be respected. Uganda still has a challenge to make its city streets safe for all. At least 60% of people in Kampala walk to their work places, according to official figures. But most infrastructure in the city has been skewed towards those using private cars, accounting for just 10% of Kampala population. About 30% use public means like taxis and buses. Even where facilities for those walking or cycling have been put, including zebra crossings around town, they are hardly respected by motorists which puts pedestrians’ lives at risk. Boda boda riders, researchers said, were the most notorious when they reached crossing points for pedestrians. Ugandans reacted to the 3D zebra crossing both on Facebook and Twitter. Peter Kaujju, the deputy director of corporate affairs at Kampala Capital City Authority, twitted: “This certainly would enhance safety of our travelling public especially pedestrians. Let’s explore”. Other Ugandans said it had worked in other countries so it work in Kampala as well. Ivan Nome, a Ugandan, wrote on Facebook: “Same concept has worked in Japan. A certain painting on the roads slows down cars especially in residential areas”. Other people urged the city authority to replicate it in others sections of the city especially at areas where school children cross. Urban & Infrastructure Development Conference, an organisation hosted Kampala School for Integrated Urban Planning (SIUP), twitted: “Great work; great initiative! Extend on Kampala Road Main Post Office, and school children zebra Crossings around the city”. For the school children in Kampala, the call to guarantee their safety on Ugandan road is even more urgent. Official statistics from the ministry of Works show that a school child dies every month on Ugandan roads in city or peri-urban suburbs. About 20% of fatalities in Uganda are school children. It would be of interest to watch the Uganda taxi drivers, boda boda drivers and the drivers of the Presidential and Ministrial motorcade trying to allow the pedestrians to cross for 5 to 10 minutes. If the city has 60 percent of commuters in this city every day using legs to move about, it means there is no majority or public transport in this modern African city. When are these researchers going to explore the possibility of clamping and towing away vehicles that park illegally all over the city every day like they do in many great cities all over the world? Because surely as the article reports, this is only a 10 percent problem in this African city of daily public transport. Another lorry on Saturday night lost control and plunged into River Nile at Karuma, about 150 metres from the Karuma Bridge at the border between Kiryandongo and Nwoya districts. The driver and turn man survived with injuries, a source said. There have been several accidents at Karuma with all vehicles going missing in the rapidly flowing water. The badly constructed highway section of the river crossing that is proving a killer spot and a destroyer of the country's economy. The Mitsubishi Fuso fighter lorry registration number UAL 891D loaded with over 10 tonnes of maize grain was moving from Bweyale in Kiryandongo district to Elego border between Uganda and South Sudan. The truck driver who is also the owner identified as Sam Sempala a resident in Kampala jumped off as the truck was headed for the water and sustained knee injuries. He was rushed to The Crosse Medical Clinic in Karuma town council. The identity of the turn man has not yet been verified. Sempala narrated from his hospital bed that he reached Karuma town and decided to continue on his journey but as he approached Karuma bridge, the vehicle started developing mechanical problems and the brakes failed. “After realising that we were in danger, I told my turn man to jump off,” he said. Sempala added that he tried to open the door so as to jump off but the door jammed. He said as the truck was rolling into the water, the door opened and he jumped off and landed a metre into the water but got stuck on a tree trunk. Isaac Adong, a traffic police officer at the scene wondering what should be done to save more lives. Sempala told traffic police officers and UPDF soldiers at Karuma that the vehicle had gone missing in the water. He said the vehicle was hired by two ladies from Koboko district to deliver maize. The two ladies, all widows, Ajonye Atayi and Zaitun Ukuwe said they were supposed to travel in the lorry but decided to board a Lira bound bus from Katulikire to Karuma. As they arrived in Karuma town, one of them decided that they should travel to Kamdini to wait for the lorry and travel to Elegu. “We now understand that prayer is very important. It's God who helped us, we would have been dead in Karuma now," they said. The ladies said when the driver called them, at first they thought the driver had sold their goods. The ladies said they had each spent sh5m to buy the maize. The traffic police officer attached to Diima Police Post, Isaac Abong said the accident was a result of a mechanical problem. The shocked driver of the truck Mr Sam Sempala recovering at Crosse Medical Clinic, Karuma township. This is almost the same spot where Erute North MP, Charles Angiro Gutomoi got an accident towards the end of May. The MP while driving his Toyota Noah vehicle registration number UAU 089G collided with a Fuso lorry Reg. No. UAJ730U. He sustained injuries resulting into a fractured leg and has since remained incapacitated. In June, a Fuso lorry registration no UAS 994Y carrying logs from palm tree from Lira to Masindi, with two occupants lost control and plunged into River Nile at Karuma bridge. The driver identified as Adam Nabwisho survived with serious injuries and was rushed for treatment at St Mary’s Hospital Lacor. In July, three people including a driver, turn man and a passenger were killed when Tata lorry registration number UAW 356, laden with dried cassava plunged into the Nile River at Karuma bridge in Kirynadongo district. They were travelling from Paidah town in Nebbi district to Hoima when the vehicle lost control and plunged into the river at about 7:00pm. In April, a cargo lorry carrying cotton seeds from the Democratic Republic of Congo plunged into the Nile River at Karuma Falls Bridge after losing control. Last month, a canter truck registration number UBA 904Z carrying about 20 people from Pabbo county, Amuru district to Panyimur market plunged into the river at Lubiri landing site in Pakwach town council killing three people and left several others injured. The Uganda Highway Maintenance Agency should start to put up low speed bumps for half a mile to the famous Rift Valley bridge and half a mile after the bridge with large sign posts. To make the bridge part of the journey the slowest speed crossing. Permanent functioning plans for the future of this famous bridge are indeed overdue. It is a river crossing that needs modern road engineering. It seems that there is a lot of bickering going on about building a hydro-electricity dam on this spot other than considering the immediate safety of the citizens currently using this bridge. 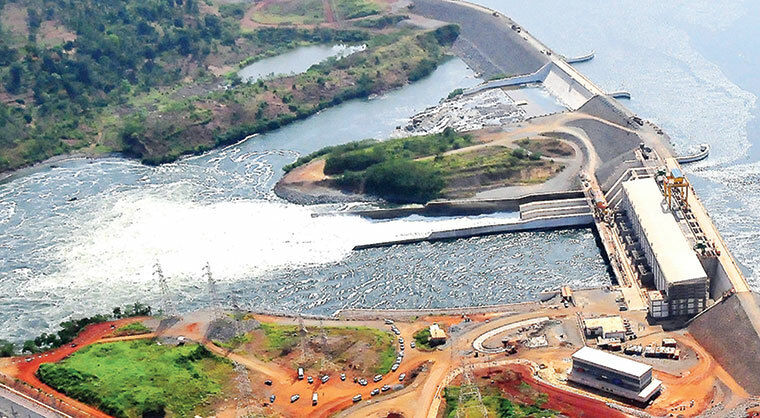 Extra-large industries have started to pay a lower tariff as a reflection of the benefits of the refinancing of the debt for the 250MW Bujagali hydropower dam, which accounts for just over 40 per cent of the country’s total energy output, writes JEFF MBANGA. Government made the decision to support extra-large companies because of their huge energy needs and the impact they have on the industrialization of the economy. It is, however, not exactly clear how much energy bills account for in the overall expenses that extra-large industries incur. Extra-large industries now pay US Cents 8.3 per KwH, with the figure going down to US cents 5 per KwH during peak, the lowest in the market. The Electricity Regulatory Authority has already set production output targets for these industries to ensure that they don’t take the benefits of lower tariffs for granted. In late July, the World Bank’s International Finance Corporation, together with a team of other lenders, completed the the refinancing of more than $400 million loans of Bujagali Energy Limited (BEL), with the aim to help reduce electricity costs in the country. Uganda was expected to have fully paid back the loan, which was arranged in 2007, by 2023. Such a payment schedule, it was argued, would have left Ugandans shouldering a high tariff. Therefore, it was agreed that the tenor of the bulk of the senior and subordinated loans be pushed to 2032. The impact here is that the tariff will reduce in the short term before gradually going up in the mid to long term. The other lenders to Bujagali were: African Development Bank, the mandated lead arrangers, Netherlands Development Finance Company (FMO), France’s Proparco, Germany’s DEG, United Kingdom’s CDC and two commercial banks: ABSA and Nedbank. Bujagali remains a critical dam for Uganda. When it was commissioned in 2011, it reduced the marginal cost of power by more than 60 per cent. At the time it was commissioned, Uganda was spending about $180 million a year in tariff subsidies to end users because of the dependence on the expensive thermal power. Bujagali nearly wiped out the dependence on thermal power, and the money spent on subsidies was diverted to other sectors. The refinancing of the Bujagali power dam also partly contributed towards the completion of a deal in which SN Power, a Norwegian company, bought SG Bujagali Holdings’ stake in the power dam. A day after the IFC announced that it had concluded the refinancing of the dam in late July, SN Power also issued a statement where it said it had acquired about 66 per cent of SG Bujagali Holdings stake in the dam for $277 million. “The investment by SN Power follows the project’s successful refinancing with its lenders – including development finance institutions such as the International Finance Corporation and African Development Bank – which reduced Bujagali Energy Limited’s annual debt-servicing payments, lowering the tariff of electricity produced by the hydropower plant,” the company said in a statement. In 2043, Bujagali will be transferred to the Government of Uganda for one US dollar. It is unfortunate that this article does not pronounce the heavy industries in Uganda that deserve energy cost price reduction. One can look on the heavy industries that consume lots of electricity and the economy is tremendously improved such as modern public transport. Modern electric transportation works directly with over 10 million passengers every day as humans travel and transform state economies tenfold. It is unfortunate that by 2043 there will still be no electric trains running some good African miles. The Uganda National Roads Authority (Unra) has conducted a static road test on the new Nile bridge in Jinja. During the test conducted on Friday, 26 trucks loaded with murram and each weighing 25 tonnes crossed the bridge concurrently for more than 30 minutes to determine the bearing capacity. However, no cracks were detected an indication that the bridge is ready for use. The site engineer, Lawrence Pario said that the bridge will be commissioned on October 17. "We are done with all the permanent works which include installing the cables that join the bridge from Njeru to Jinja and the 2.6km road leading the public to the bridge making it ready for use," Pario says. Pario also says that two rest areas have been constructed on both the Jinja and Njeru side of the bridge to serve as refreshment, parking and recreation centers for the passengers on the Nile bridge. Pario adds that the bridge is uniquely constructed and will beautify the skyline of Jinja. The 525 meter-long bridge is the first cable-stayed bridge in East Africa crossing Victoria Nile and linking the Northern Corridor that connects Kenya with the Democratic Republic of Congo (DRC). Zenitaka Corporation of Japan and Hyundai Engineering and Construction Company from South Korea constructed the bridge. 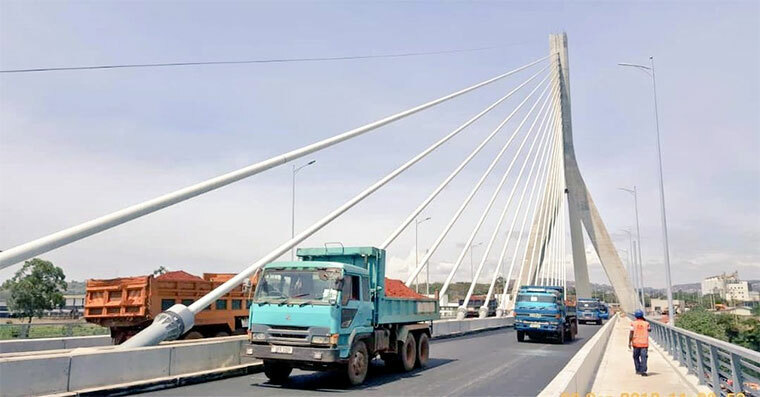 The total cost of the new bridge was about Shs 390 billion - with the government of Japan financing up to 80 per cent of the cost in form of a loan, while Uganda was supposed to fund the remaining 20 per cent. The old Nalubaale bridge was built in 1954 and has outlived its lifespan - even developing cracks. The African country of Uganda needs to breakout from the circle the colonialists left it with. It seems that any major project takes about 60 years to depreciate. Such major infrastructure projects need to last 100 years and over with proper engineering mantainance. The Nalubaale old bridge must not be demolished so that a major modern repair programme is activated. It must have been government neglect that drove this fresh water bridge to abondonment!